With the completion of the new railway and the rail tracks onto the Eastern Breakwater in Geraldton several new photographic opportunities have become available. 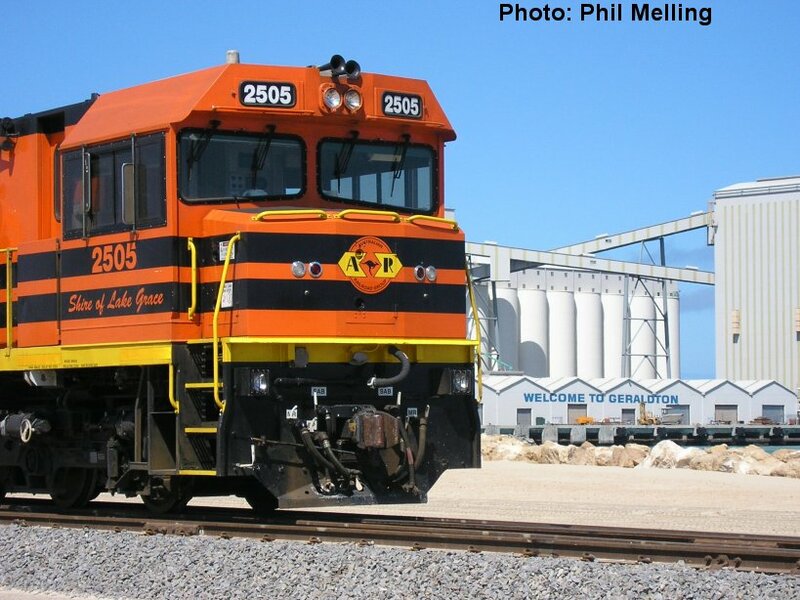 2505 is seen with the Port's "Welcome to Geraldton" sign as a backdrop on 24 September 2005. 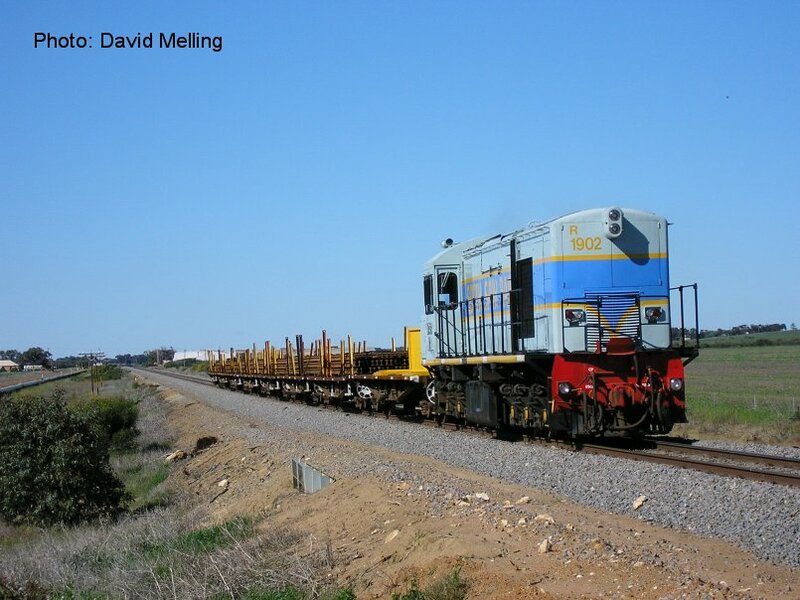 South Spur Rail Services R1902 hauls a loaded rail train towards Narngulu on 12 July 2005. 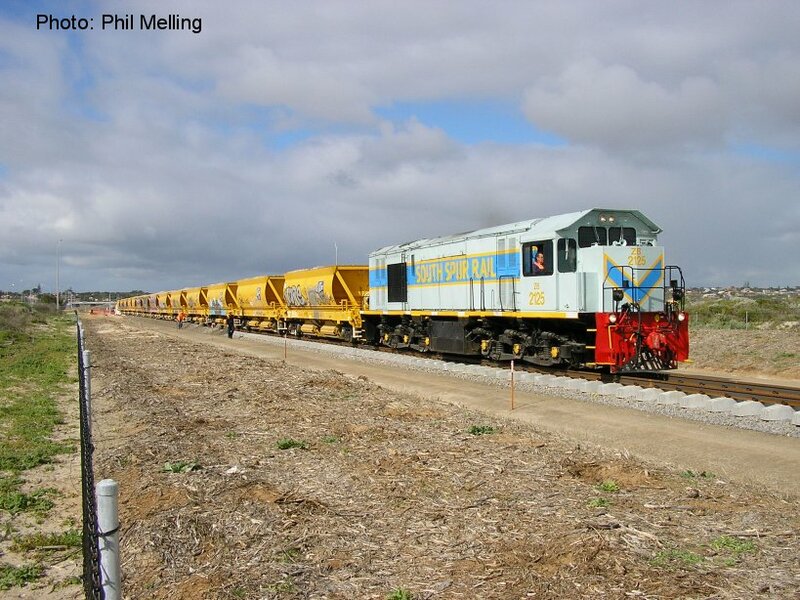 The rail is destined for the new Narngulu to Geraldton Rail line. 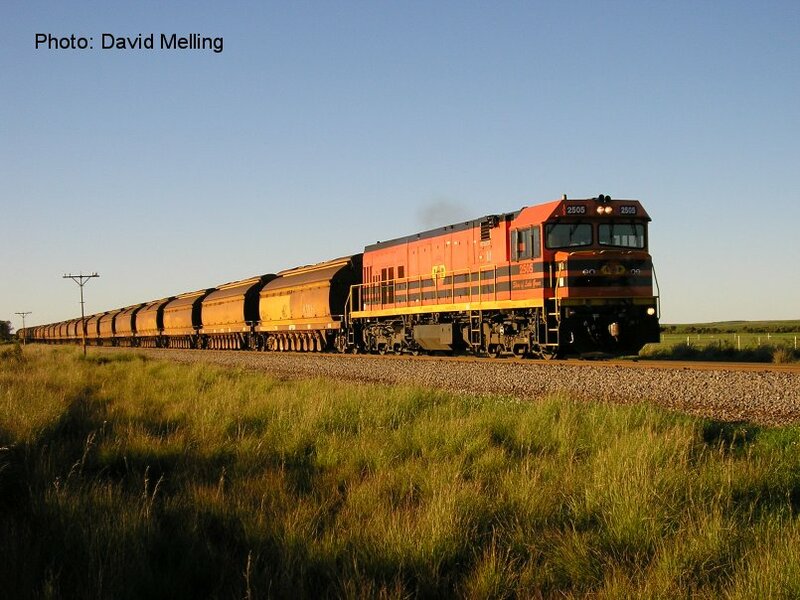 DA1575/DA1573/1906 haul an empty grain train out of Narngulu on 11 July 2005. Great to see three of the 7 DA (1900) class on the one train. How times change. 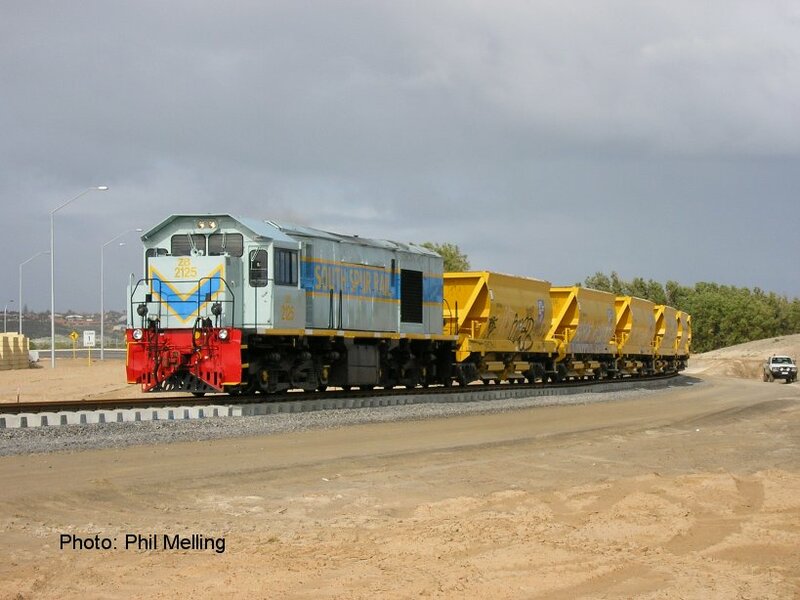 This is a photo of one of the ballast trains being used to assist in the construction of the Geraldton Southern Transport Corridor. The loco ZB2125 is from Tasmania (TasRail), before its move it was actually purchased new by Queensland Rail and used in Queensland. The wagons are ex Victorian Railways ballast hoppers. The train is seen adjacent to PortWay in Beachlands on 13 July 2005. Another photo of ZB2125 (see above for further details). The ballast train is seen at Separation Point, once a Caravan Park. This was the current "end of the line" as of 13 July 2005. Only about 2.5km from Geraldton Port. 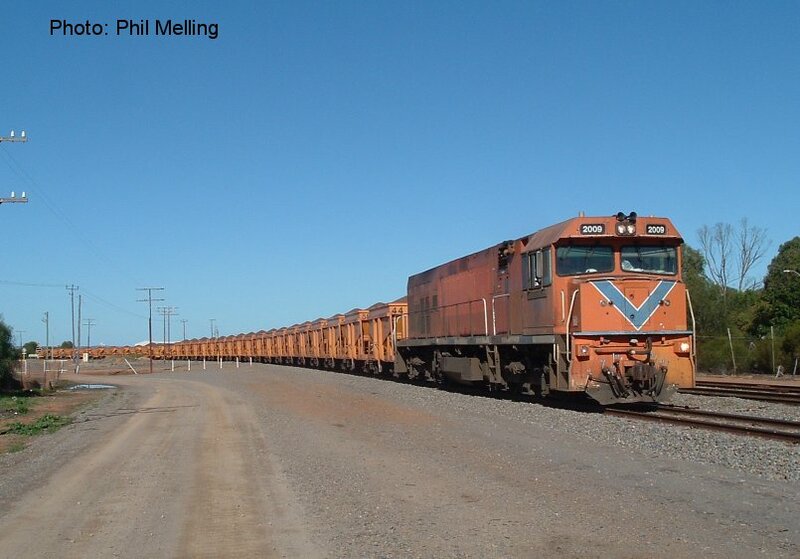 P2009 arrives at Narngulu with a loaded iron ore train from Mullewa on 25 June 2005. 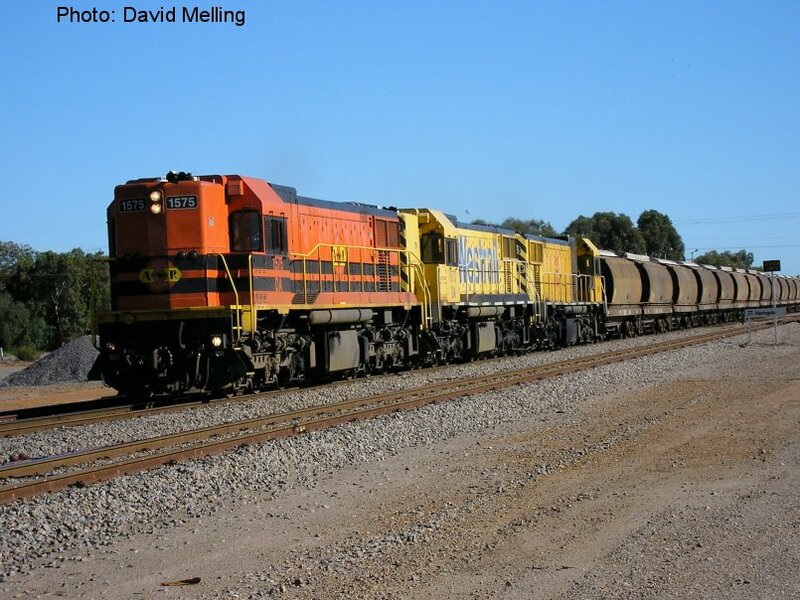 Rebuilt P class 2505 (now in Australian Railroad Group colours)hauls a loaded coal train near Georgina on 2 July 2005. 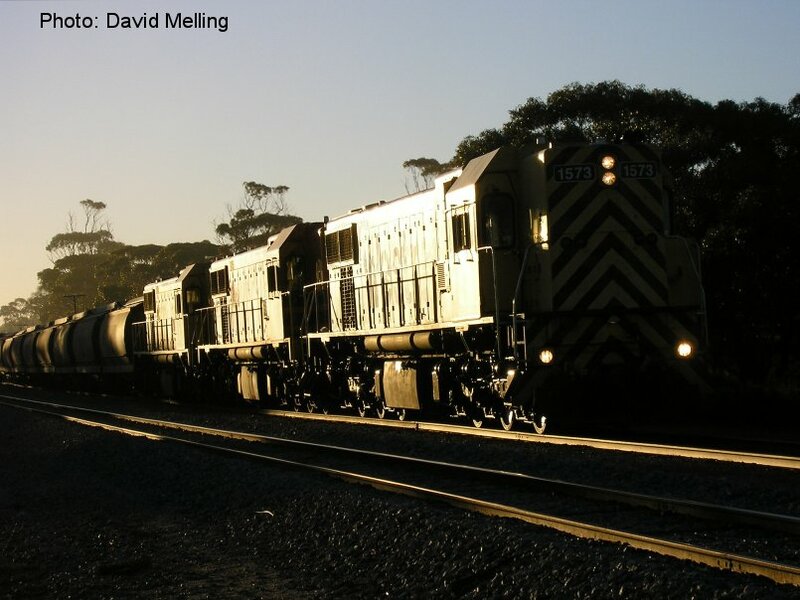 DA1573/1906/DA1575 shunt their grain train at Three Springs in great low evening sun on 2 July 2005. We hope you enjoyed our photos.